Lineeye offers two models of portable analyzers/monitors for RS-232C and RS-422/485 links to verify the proper functioning of these communication modes during the development or integration phases in the laboratory or in the field in order to diagnose problems of connection and synchronization between devices. 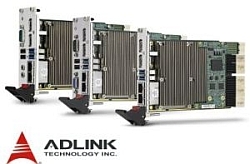 The two monitors LE-110SA and LE-120SA developed by Lineeye address serial communications such as ASYNC and UART. The LE-110SA model supports RS232C/RS-422/RS-485 standards and the LE-120SA model supports RS-232C and UART with TTL 1.8V/2.5V/3.3V/5V levels. Both instruments have a colour touch screen and allow continuous operation for five hours using two AA-size NiMH batteries (LR06). They provide both data monitoring and test data transmission. Frame time stamping and inactivity time measurement can complete the recording, providing time accuracy without the need for a PC. Their light weight (300g batteries included) and compactness (16 cm x 10 cm x 3 cm) make them suitable for maintenance work in the field. Software available for data display and text conversion on PC.